Code signing is a technology that has the ultimate objective of helping software publishers to increase the adoption of downloaded applications. 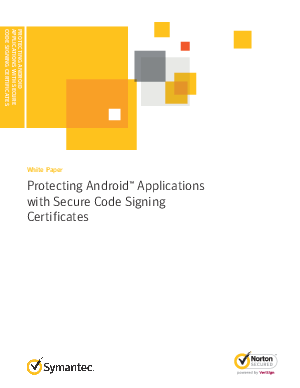 Code signing technology helps end users feel more confident about installing and using software they obtain from online application marketplaces and other sources on the Internet. Adobe and Symantec are committed to making the Internet a secure and viable platform for commerce and the distribution of content With Adobe AIR and Symantec Code Signing Certificates, your code will be as safe and trustworthy to your customers as it would be if you shrink-wrapped it and sold it off a store shelf.